You won't have to go bananas when you decide to add a Gorilla to your family. Just have your favorite child undergo the transformation with this costume! We're pretty confident that they won't forget all of their human ways, and that's important since we still expect them able to take care of everyday stuff like their chores and table manners. Now after they start wearing this costume for more than a couple days, they might have quite the craving for yellow fruit but that's a whole nother issue to deal with! 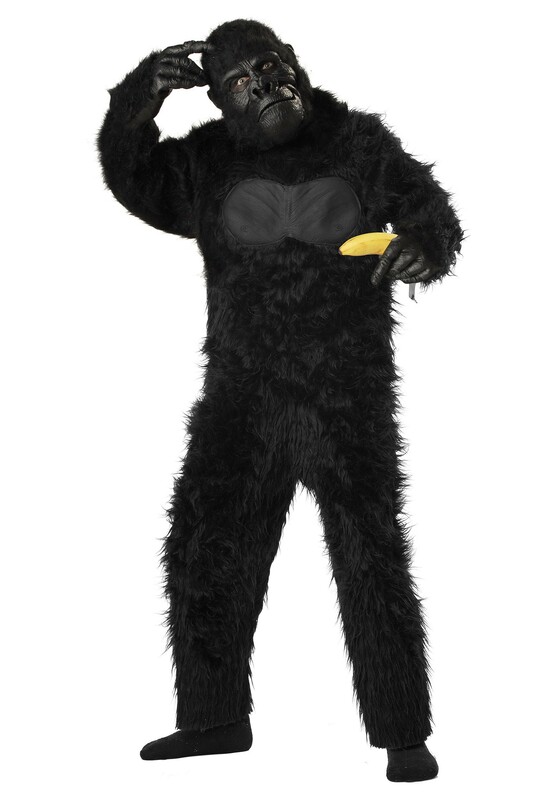 Set up your kid with this costume, and they'll have a blast as the mountain jungle dwellers!